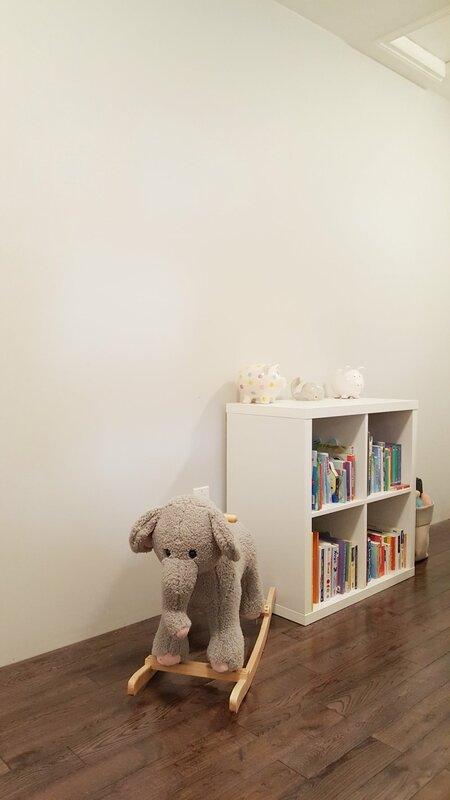 Fall 2018 One Room Challenge - Week 1: Big Girl & Baby Boy! It’s One Room Challenge time and I’m so excited to share that I will be jumping in as a Guest Participant for the 4th time! Created by Linda Weinstein, The One Room Challenge is an amazing event that happens each spring and fall where design bloggers come together to transform and share their amazing spaces. This year’s media partner is Better Home & Gardens! 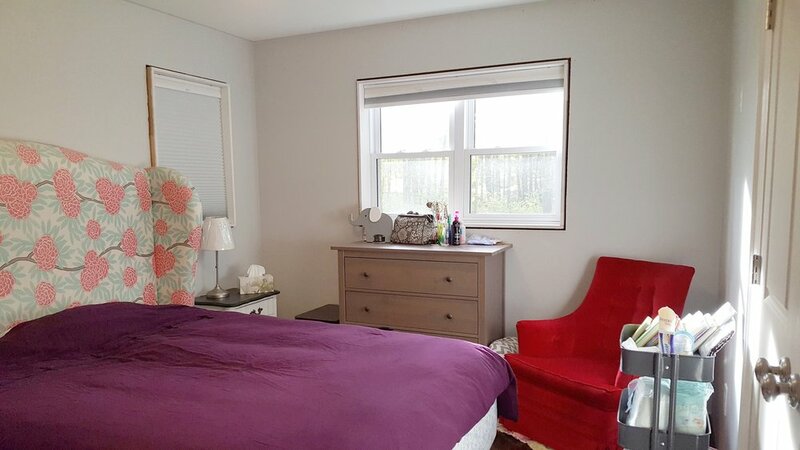 For newcomers to the blog, I just formalized my creative outlet last spring and kicked things off by joining the 2017 Spring One Room Challenge with a makeover of my daughter Lily’s room. I learned so much from all participants the first time around that I joined again in the Fall with my own Bedroom/Office and finally this Spring with our Stairway Library. My brother Paul from Brancon Construction was my contractor for every single challenge, did an amazing job and allowed me to complete everything on time and on budget. When thinking about which room to do for this Fall One Room Challenge I asked Paul and my sister-in-law Kristy if they would be willing to let me experiment in their home and the answer was YES! Thanks to Paul and Kristy I have been blessed with a beautiful niece “Audrey” who will be 3 in December and a handsome little munchkin “Clark” who is 8 months. 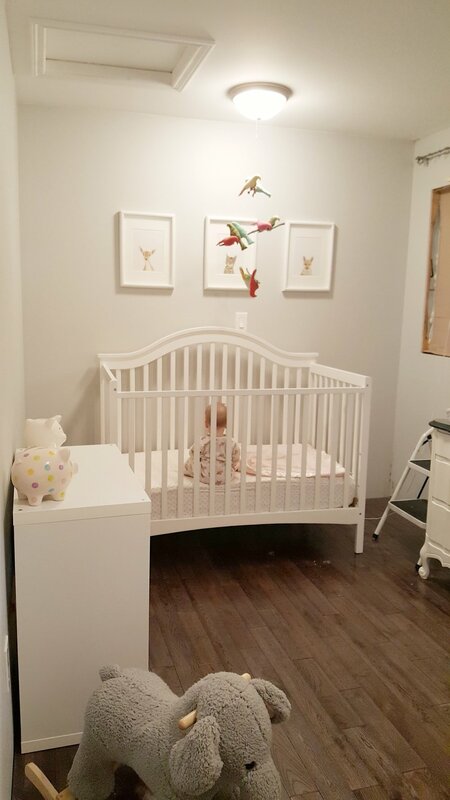 Audrey is ready to move out of her nursery and crib and Clark is ready for a space of his own which is a great One Room Challenge opportunity. How did I decide whose room I should design for the challenge? I didn’t! How could I? I will be completing both “Big Girl” and “Baby Boy” rooms over the 5 weeks and 6 blog posts starting today! This opportunity is so special to me not only because I love this family so much but also because I grew up in their home. My brother has rebuilt our childhood home literally from the ground up and the second floor that houses 3 bedrooms, an office and full bathroom is ready for the final touches. Not many people get to redesign their childhood home so this will be an amazing experience for me. I’ll follow along with furniture, art, textiles and finishing touches to bring these rooms to the finish line. As you can see both spaces have great bones and great pieces already so we’ll be working with what we already have wherever we can for truly “redesigned” spaces. I’ve had a few images in my mind over the past few months for inspiration for these rooms by amazing designers including Amber Interiors, Studio McGee, Sarah Sherman Samuel and Canada’s very own Sarah Richardson - just to name a few. We have a lot of work ahead but I’m excited to get started! Stay tuned here and via Insta for progress with these spaces as well as One Room Challenge rooms by featured and other guest participants.